Madison College women's basketball coach Jessica Pelzel speaks to her team during a time out at a recent home game. 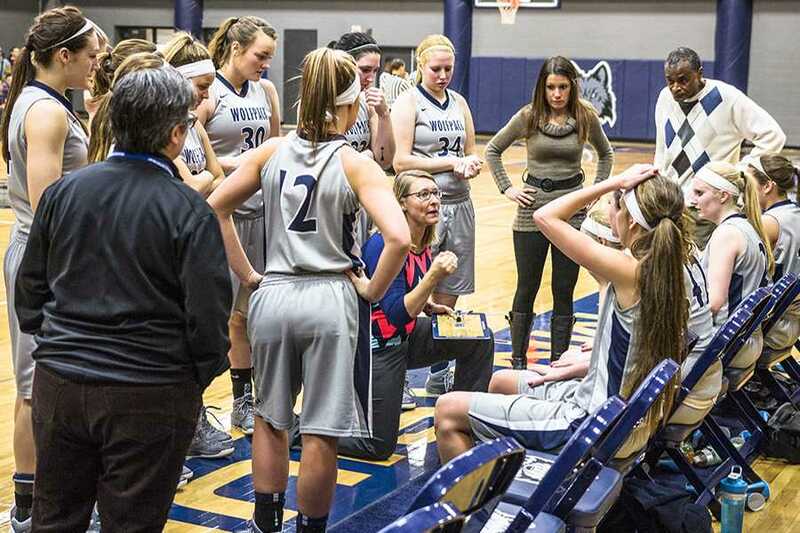 Two late-season losses have likely derailed the Madison College women’s basketball team’s hopes of winning its first conference title since 2009-2010. Madison College avenged an earlier loss by defeating Rock Valley College and claim the conference lead, only to lose its next two games to fall a game and half behind in the battle for conference supremacy. Rock Valley now leads the conference with a 9-2 record. 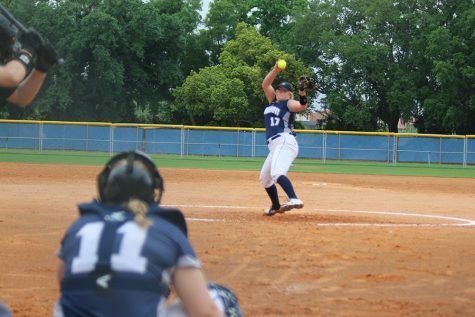 Madison College follows with a 7-3 record. 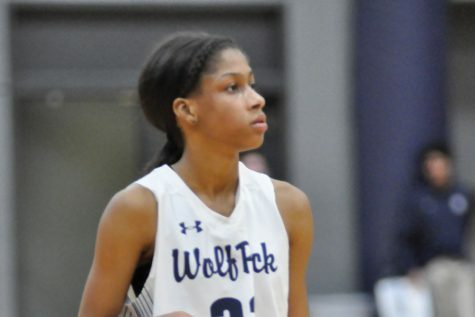 For Madison College to claim a share of the North Central Community College Conference title, the WolfPack would have to win both of its remaining conference games and Rock Valley would have to lose its final conference game. Unfortunately, Madison College’s hopes rest with the College of DuPage pulling a very unlikely upset. DuPage is 2-8 in conference play and lost to Rock Valley, 63-38, earlier this season. Regardless of what happens in the rest of conference play, Madison College could use the two remaining games to build some momentum for tournament play. The NJCAA Division III tournament begins with the quarterfinals on Feb. 23. The winners advance to play in the semi-finals hosted by Milwaukee Area Technical College on Feb. 26 and Feb. 28. Madison College got outscored 19-12 in the fourth quarter to suffer a 75-74 loss to Milwaukee Area Technical College on Feb. 13 after leading throughout much of the game. The WolfPack jumped out to a 25-16 lead in the first quarter and still held a nine-point lead at halftime. Milwaukee closed the gap in the third quarter to 62-56, then held Madison College to just 12 points in the final quarter. Jenna Endres led Madison College with 30 points, while Taylor Nelson scored 16 points. 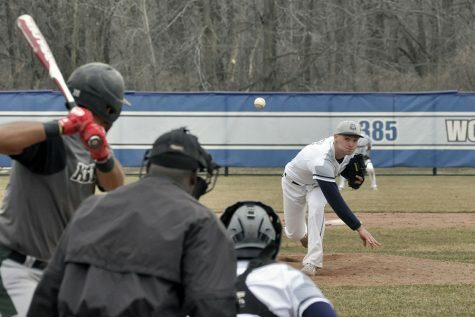 Madison College’s overall record falls to 23-3, having lost its last two games. Its next game is at home on Feb. 17 against Joliet Junior College. The final game of the regular season is Feb. 20 at home against Harper College. Turnovers and tough shooting night cost Madison College in a 73-63 loss at Triton College on Feb. 10. Madison College committed 23 turnovers and hit less than 32 percent of its shots (24 of 76) in the loss. Despite all that, the WolfPack pulled within one-point of the lead with just under 8 minutes left in the fourth quarter. But the team committed nine turnovers in the quarter, helping sidetrack a possible come-from-behind win. Taylor Nelson led the team with 19 points, while Jenna Endres added 15 points. Megan Petty recorded a double-double with 14 points and 13 rebounds. Freshman forward Rachel Slaney helped lead Madison College to victory over conference rival Rock Valley, 73-67, at home on Feb. 6. Slaney got a big boost from the free throw line, converting on 16 of 18 free throws. She also had six rebounds, six assists and two steals. Two other players reached double-figures for Madison College. Mandi Sargent scored 10 points and had six rebounds, while Addison Hemming had 10 points and five rebounds. A 14-5 run to start the second quarter gave Madison College the boost it needed to upend College of DuPage, 68-50, on Feb. 3. Slaney scored a double-double with 15 points and a season-high 15 rebounds. Jenna Endres scored 11 points to help lead the team. Madison College had its struggles in the game, committing 24 turnovers and hitting just 11 of its 22 free throws. Fortunately, the WolfPack controlled the boards, out-rebounding DuPage, 55-29.